Never Enough Nails: Binx's 2 Year Adoptaversary Mani! Yesterday marked 2 years since the day I brought baby Binx home from the shelter. He was such a scrawny little kitten, with scruffy looking fur, spindly legs and chewed-off whiskers, courtesy of his brother. He's really grown into a gorgeous healthy cat and he's just the best companion you could ask for, so I had to celebrate this occasion! My mani for the weekend is OPI Grapely Admired Infinite Shine topped with (what else??) 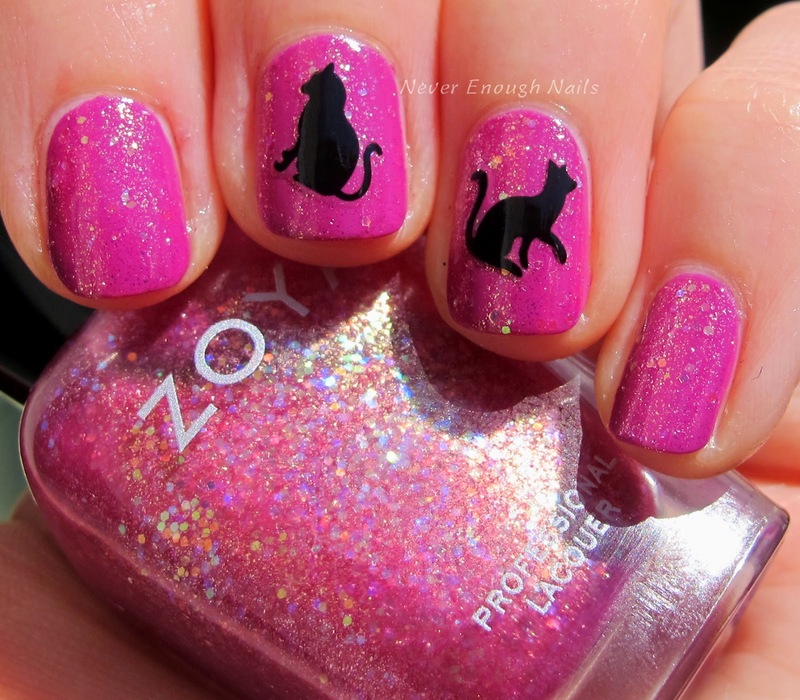 Zoya Binx! 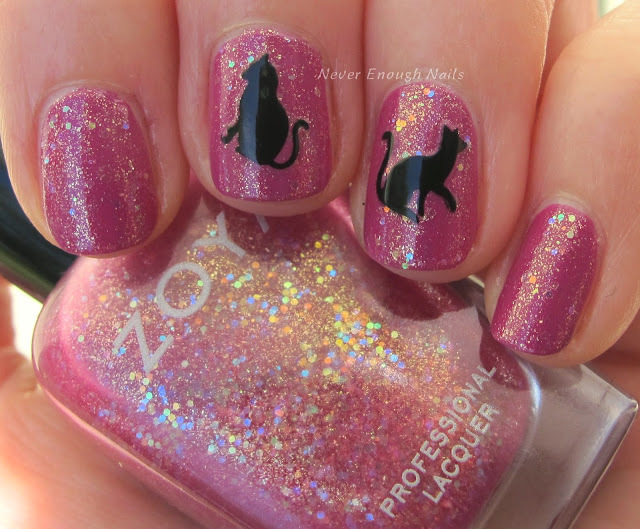 And of course I had to use some of my beloved black cat nail stickers from Born Pretty Store. This is one coat of Zoya Binx over two coats of Grapely Admired. 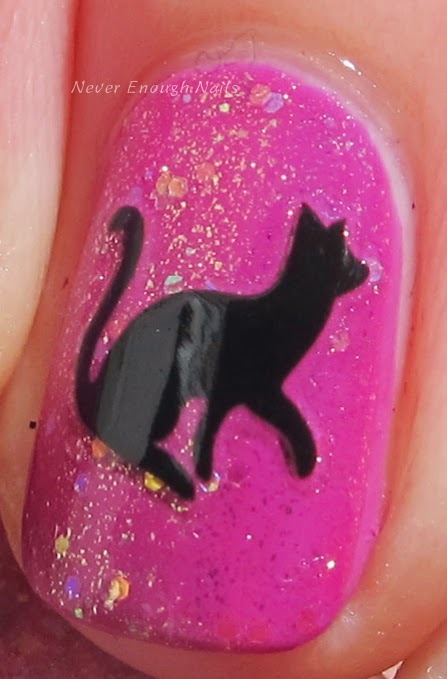 I love Binx, it's a really pretty topper, but is also great by itself. I might be biased because of the name, but I do like to wear it :)! 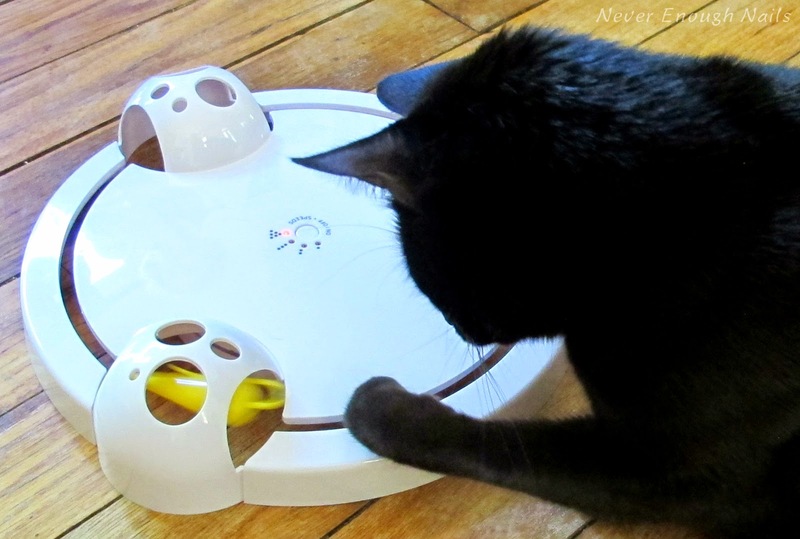 I bought Binx a new toy for the party as well! He's not 100% sure about it yet, but he's definitely interested!